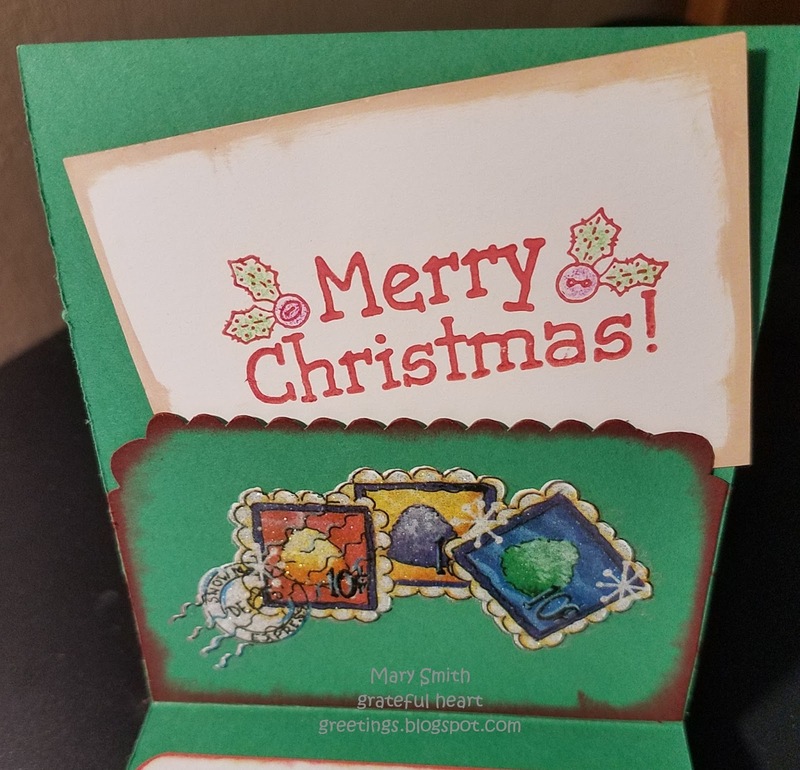 Hi, today I would like to show you the Christmas card I made using a fold called a Wallet Flip design. I actually don't remember the name as I learned this idea from a friend long ago. ;) The top flap to close the card is held with velcro stickers (not shown). 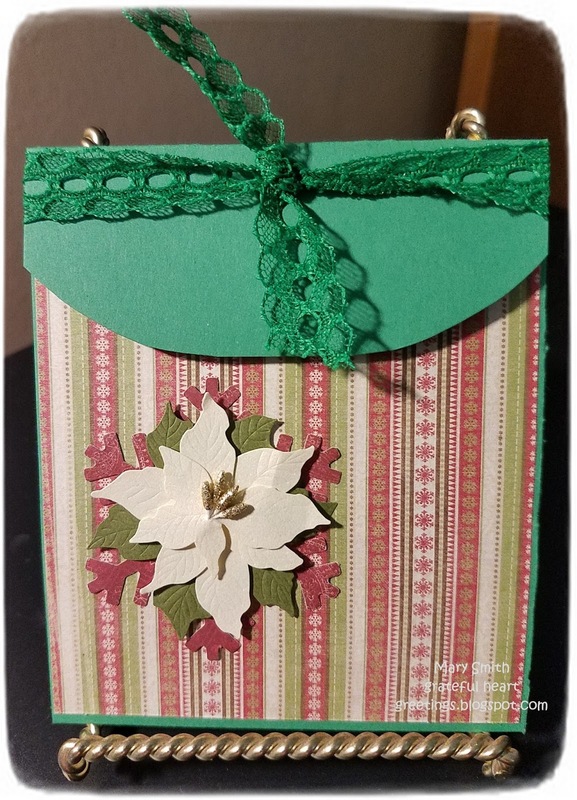 The outside of the card is just decorated with a snowflake designed paper, with a snowflake, and a poinsettia layered sticker on top. The green lace is from Cindy's Laces. The inside shows off my design of "Hettie's Christmas Tree". I added 3 little star buttons from my stash. 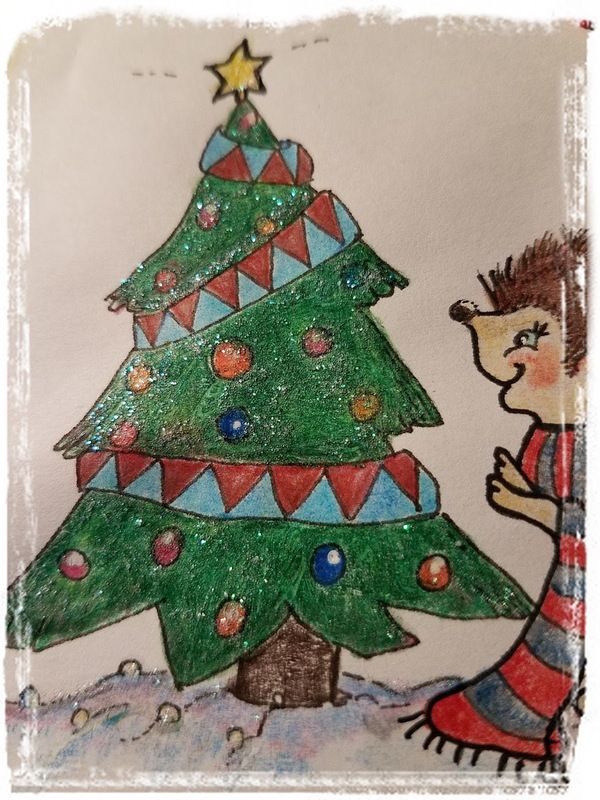 The next photo shows more of the glitter that was added to the tree. 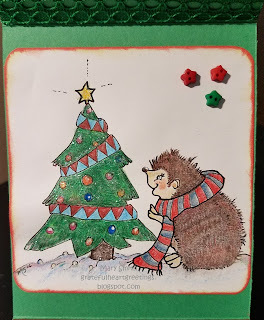 On the opposite side of the card, I added a pocket decorated with a rub-on transfer of Lolly Pop Road - Gumdrops. 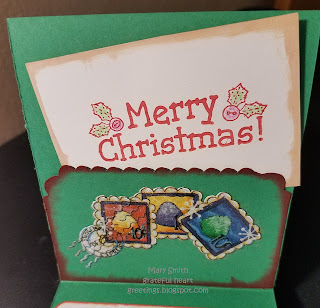 And included a "Merry Christmas" card that slides inside of the pocket. I used a Distress Ink Pad from Tim Holtz of Festive Berries to give it a little color around the edges of the pocket. 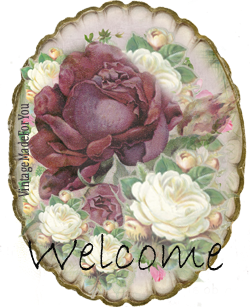 I would like to invite you to check out my Etsy Shop! This is sooo cute! I love your idea! :) Thanks for joining us this month at Papercraft Business Challenges!! 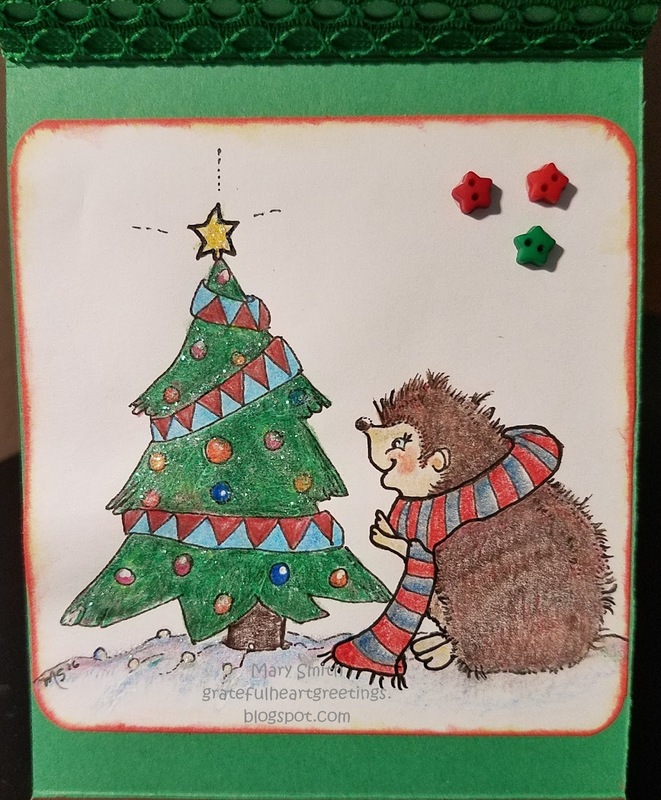 A really cute card, Mary - love the fold you've used. This is such an adorable project that you have created. Such an awesome idea as a wallet flip card & the image is so cute.